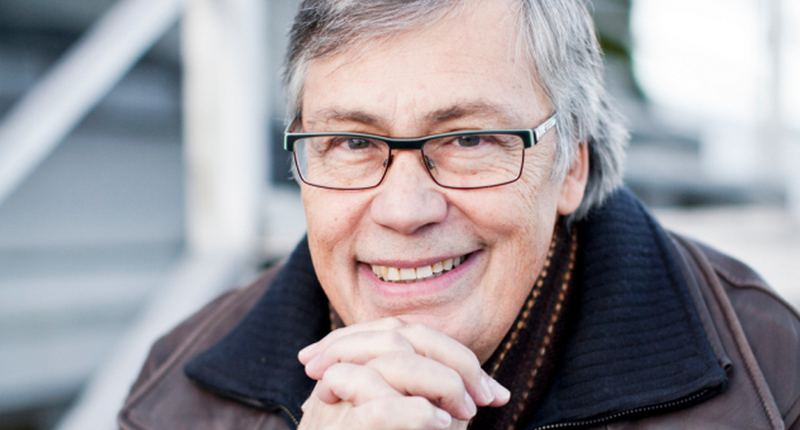 I live in the same city as the world’s arguably most famous living Swedish Christian, namely Ulf Ekman. The founder and long-term leader of the Scandinavian Word of Faith movement (with many branches in the former Soviet Union), Ekman surprised many when he revealed last year that he and his wife would convert to Catholicism, which they also have done. Yesterday, Ulf Ekman was being interviewed on national Swedish television about his life, faith and different controversial topics like abortion, support for Jewish migration to the West Bank and prayer for healing (which apparently is controversial in a Swedish secular context). Ekman’s conversion from being neo-Pentecostal to being Catholic wasn’t the first religious shift he has made. In his youth he was an atheist socialist in Gothenburg, protesting against capitalism and the Vietnam war, but when a Christian friend talked to him about how Jesus could give him forgiveness for his sins, he was saved. He went to Uppsala (my town) to study theology and became a Lutheran priest in the Church of Sweden. However, in the early 80’s he studied at Kenneth Hagin’s Rhema Bible college in Tulsa, Oklahoma, and when he came back he was a full-blooded prosperity preaching Pentecostal. He founded the Word of Life church in Uppsala in 1983, and the movement quickly spread to the rest of Scandinavia and to the USSR. For Ekman, his conversion from atheism to Christianity also meant a political conversion from socialism to conservatism. He wasn’t afraid of preaching politics from the pulpit, whether it was against Sweden’s abortion laws, for the policies and military decisions of the state of Israel or simply prayers that the Social Democrats would lose the Swedish elections. The Word of Life was at this time also the home of the health and wealth gospel, or prosperity preaching. Ekman and other Word of Life preachers taught that God would make the faithful rich, that sowing finances into the ministry would make you reap finances from above (this is typically taught based on 2 Cor. 9:6 and 8, although the fact that Paul talks about giving money to the poor, not anyone else, in order to promote economic equality, rather than to get rich, is not so often emphasized). Both economic blessings as well as miracles and healing were connected to faith, and many former Word of Life-ers have testified how they were feeling shameful about having lack of faith for remaining poor or sick. The Kingdom gospel preached by the Vineyard movement, to which I sympathize, stands in opposition to the Word of Faith theology which I believe is very damaging. In the interview, Ekman was asked about all the people that feel hurt from their time in the Word of Life, and while he recognized that people have been hurt and that he has failed many times in his leadership, he said that it is a discussion he didn’t want to take through media. When the reporter asked him to give examples of things that he has said and done that he is sorry about – without naming any names – he was very vague though. It is a bit strange – as a Catholic and ex-member of the Word of Life, he should have been able to say that prosperity preaching or at least they way they preached about money and health back then was unsound. But it seems to me that he is still believing in prosperity in some form, and he is still not ready to discredit his former self. Despite all conversions from atheism to Lutheranism to neo-Pentecostalism to Catholicism, he is the same person. And he knows how he thought back then, his good intentions and his deep religions convictions. I actually met and talked to Ulf Ekman just a few months before his conversion to Catholicism. I gave him my article Supernatural Activism and explained why I am convinced that signs and wonders should be combined with peace and justice. I knew that he believed in signs and wonders as well – quite a lot even – but what about peace and justice? Well, he said that peace of course he good but he thought that we might risk promoting false peace when dealing with dubious actors (he was probably thinking about Hamas). And justice… he didn’t used that word very much. It reminded him of his socialist past, which he didn’t like. Of course he wanted to fight poverty, but he had nor problem with people being rich. God bless Ulf Ekman, I believe that he has had a troublesome past but I pray that he will have a glorious future. And I hope that this future will include a fifth conversion, from Catholicism to restorationism. I hope that he will finally be as passionate about peace and justice as he is about missions and Spiritual gifts, and that he will preach and practice the Sermon on the Mount in its totality. You may say that it is unlikely, but one thing should be clear by now: you shouldn’t being surprised for being surprised by Ulf Ekman. By Micael Grenholm in Church & Theology on March 4, 2015 . Interesting lifestory tough! Thank you for sharing!